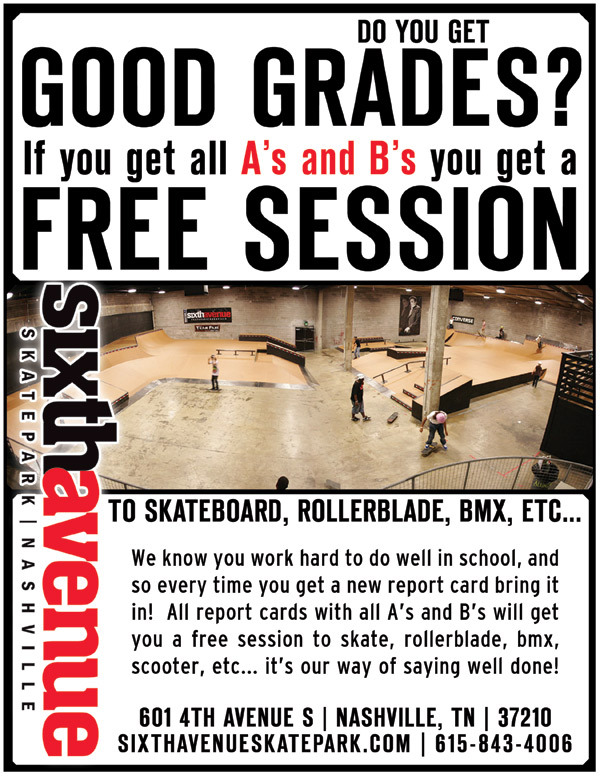 Rocketown and Sixth Avenue Skatepark: Nashville,TN :: Report Card Session | Get A Free SixthAvenue Skatepark Pass with A's and B's - Show Us Your Report Card and Get a Free Pass! At Sixth Ave we care about your academic achievements, and so every time you get a new report card bring it on in. All report cards with all A’s and B’s get a free session! This is for everyone… middle school, high school, and even college. Make it happen!